Immigrants were housed by nationality and gender at Angel Island, with as many as two hundred people in a dormitory at a time. Detainees played dominoes, read books, and wrote poetry while they waited for their cases to be approved. 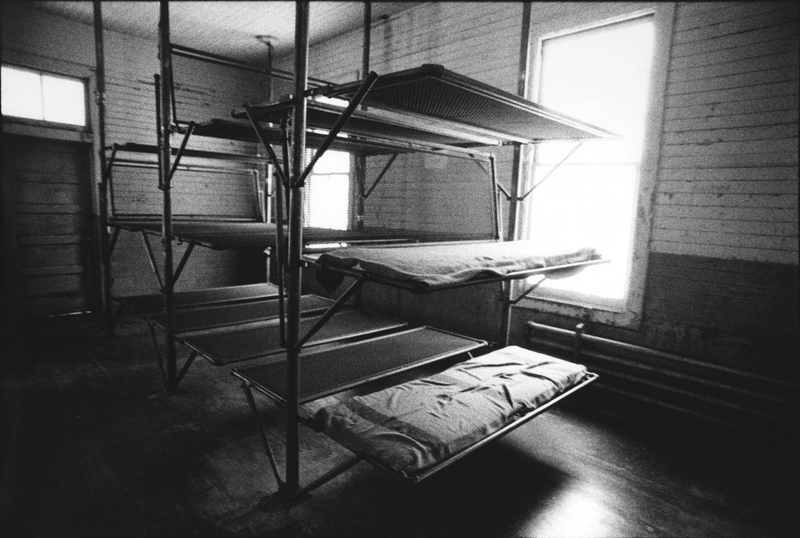 This photograph of the dormitory’s stacked wire cots was taken in 2003, almost sixty years after the Immigration Station closed. After years of activism within the Bay Area Asian American community and nearly a decade of restorations, some of the immigration station buildings opened to the public in 1983. For the first time in decades, the public could glimpse what accommodations were like for people waiting to enter America. Berndt, Jerry, “Angel Island Chinese immigrant detention center, dormitory room interior. San Francisco Bay, San Francisco, California, 2003,” Digital Public Library of America, https://dp.la/item/3239507048ccf85353a2c7f5c2055871.